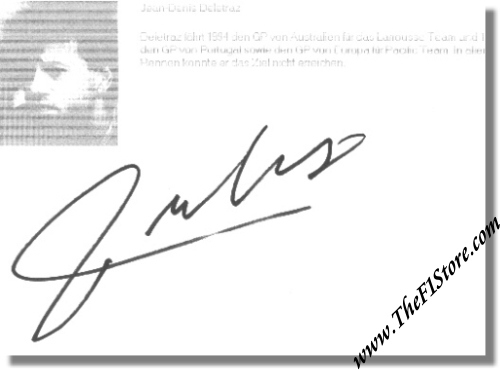 Jean-Denis Deletraz signed signature card. Jean-Denis drove the 1994 GP of Australia for the Larousse Team and the 1995 GP of Portugal and European GP for Pacific. He failed to finish in all Grand Prix he started in.